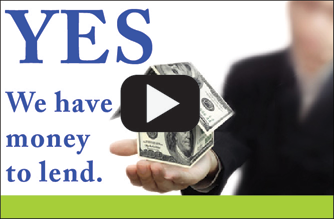 ﻿ Start up business cash advance and funding | Fast and easy cash loan onlines. To Businesses With All Types of Credit History. If you do not accept credit cards, click here for our Business Loans Programs. and now high-end beauty salons and spas, with the potential for strong initial sales and future growth. As the name implies, funding will be made available once the business is open and only after we are able to see five (5) strong batches from the business owner's processing. In addition, the Grand Opening Program will be used with any eating & drinking establishment, high-end beauty salon or spa open less than nine months or those taken over by new management. Fast and Easy Start up Business Cash Advance and Funding. Many times businesses find themselves in a rough patch. They need immediate financial help and in such a situation, the merchant cash advance online comes handy. The merchants cash advance not only helps them to get out of a tricky situation but also eases the situation further for them when it comes to repayment of the loan. These loans are offer on low payment options. If you are cash- strapped and you desperately need that extra amount of money so that you can keep things moving, then we, at Moneyman4cashadvance, would certainly be at your side to help you get out of the crisis. We provide cash advance for business. A reasonable amount of loan period is provided for our fast and easy cash loans so that merchants can get fix things up and are ready to pay back their loan in that reasonable period of time. With advance cash for business merchants have been able to pay their immediate bills or tap a great opportunity for their business. Whether they need start up business cash advance or cash for stock up inventory purchasing, in such situations, we prove to be of great help. It is similar to an alternative funding program where merchants get quick and fast cash. Our easy cash loans online services prove to be of great help to merchants as they can quickly fix their financial problems. A few simple requirements are need to be fulfilled and you can easily find financial assistance online from us. Easy payday terms and competitive interests accompany our loans. Getting freedom from arduous task of application of loan from the bank, you’ll find that we offer you the simplest cash loan service in the industry. No time-consuming paper work, all you need to do is to get in touch with us. No lengthy procedures and you get instant solutions to your financial problems. With our easy cash loans online, we ensure that you don’t have to spend time in collecting the required paper documentation. Secured encrypted system is provided to merchants so that they can provide their online information with a great deal of security. We provide merchant cash advance online with designated interest rates. It is advisable for clients to strictly plan their budget so they are able to pay off their loan with ease. Although time period is extended but the facility of extended deadlines for repayment comes with a high interest rate. Additional fee may also be charged depending upon the repayment scenario. Thus, it is highly advisable that while seeking financial assistance the merchants should weigh the pros and cons. If you need quick cash advance, all you need to rely upon us for cash advance and funding. Moneyman4cashadvance is a reliable cash lender that can help merchants like you in emergency. Note: Money Man 4 Cash Advance is a registered trademark and is the ownership of National Money Man4 Cash Advance LLC, holds a current active status with Sectary Of State in Austin, Texas. Money Man 4 Cash Advance is not the origin of any funding. We are an independent sales office that market sales and service various financial programs for various financial institutions. © 2007 National Money Man 4 Cash Advance LLC, All Rights Reserved.